By voting on the sites listed, you can help to determine whether the site remains within the Equestrian Passions website directory, as well as where it appears. 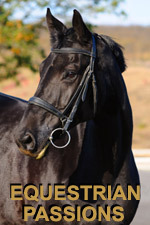 If you believe the site listed is 'on theme' with Equestrian Passions, vote that it is relevant. Otherwise, vote that it is not. Over time the best sites should move to the top of the list.